Center on Disability and Community Inclusion is thrilled to announce that Stirling Peebles, former Think College student and current Think College Dissemination Assistant, has been recognized by Vermont Business Magazine as a 2016 Rising Star. 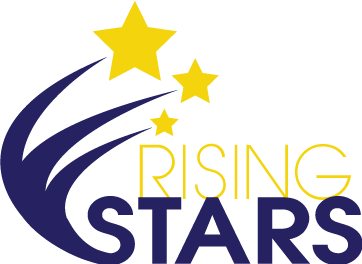 The Rising Stars program was started in 2010 to show Vermonters—particularly the youth of Vermont—that there are people under the age of 40 who contribute significantly to this state, and that they are a valued resource when it comes to their employers and their communities. The list is comprised of 40 winners all under the age of 40. Award recipients are selected every year by a panel of judges for their commitment to business growth, professional excellence, and involvement in their communities. 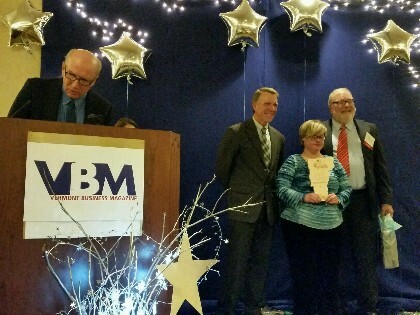 The awards ceremony took place on the evening of Thursday, November 10th in Burlington. Stirling’s association with CDCI started when she enrolled in the first year of the Think College program in 2011. Think College provides the opportunity for young adults with intellectual disabilities to take UVM courses in a fully inclusive environment. Natural supports and peer-mentors are provided to help every student succeed in the ultimate goal of meaningful employment. Stirling’s intelligence, humor, and drive were palpable from day one, and after she completed her Certificate of Professional Study, The Center on Disability and Community Inclusion was thrilled to hire her for her skills in social media, video editing, and relationship building as the Think College Dissemination Assistant. Currently Stirling also works for Green Mountain Self-Advocates and is pursuing her Bachelor’s Degree from Champlain College. 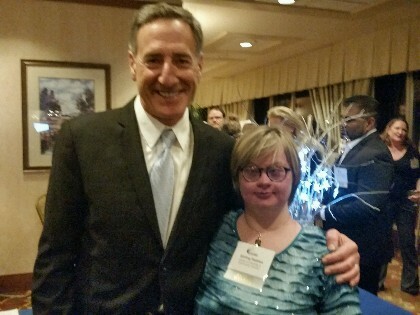 The Center on Disability and Community Inclusion is Vermont's University Center for Excellence in Developmental Disabilities. We, along with our other 66 sister Centers across the nation, provide service, training, and technical assistance to the community, educators, professionals, and individuals with disabilities and their families in order to make our states with a goal of meaningful inclusion. We are proud of Stirling, her accomplishments, and of all the support from our national network, the Univeristy of Vermont, and our partners who are truling making a difference.